Join us on Saturday, June 22 at 4:15 p.m. as the Los Angeles Dodgers take on the Colorado Rockies. 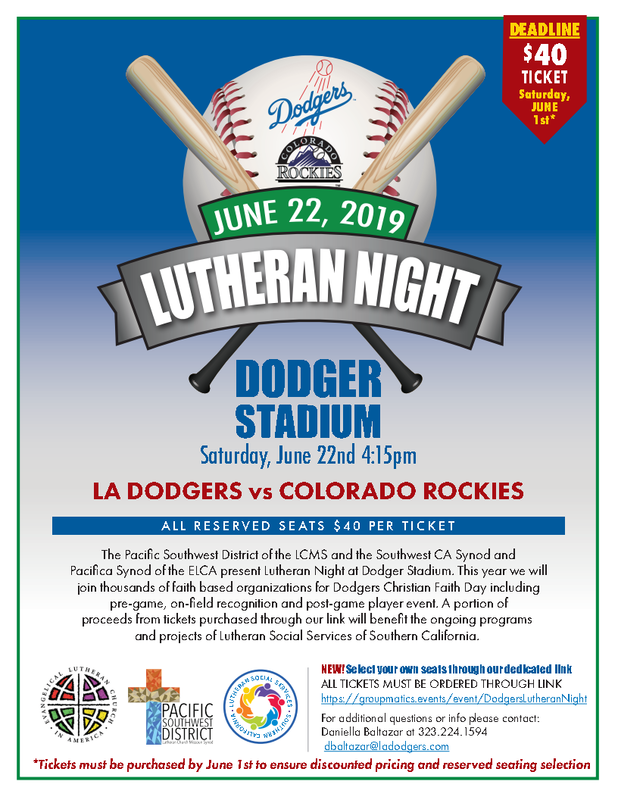 A portion of the proceeds from tickets purchased through the link below will benefit ongoing programs and projects of Lutheran Social Services of Southern California. All tickets purchased by the deadline will be guaranteed in our reserved Lutheran Night Section. There is also a dedicated link that allows you to select your exact seat location, regardless of group size, so that any combination of family and friends can sit together. Come Celebrate With Us on March 16th!